What was the best gift you ever received? Was it that shiny new bike waiting for you on Christmas morning? That new, hard to get gadget? Maybe it was something more heartfelt; a handmade gift. No matter what you’re envisioning, it’s most likely that this special gift was given to you by someone you love. It was different for Miranda. The best gift she ever received didn’t come in a box. There was no occasion for it. In fact, it didn’t even come from somebody she knew. 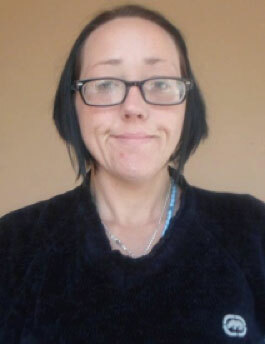 Miranda was sitting at a bus stop, homeless, addicted and suicidal, when a stranger handed her something that changed her life. 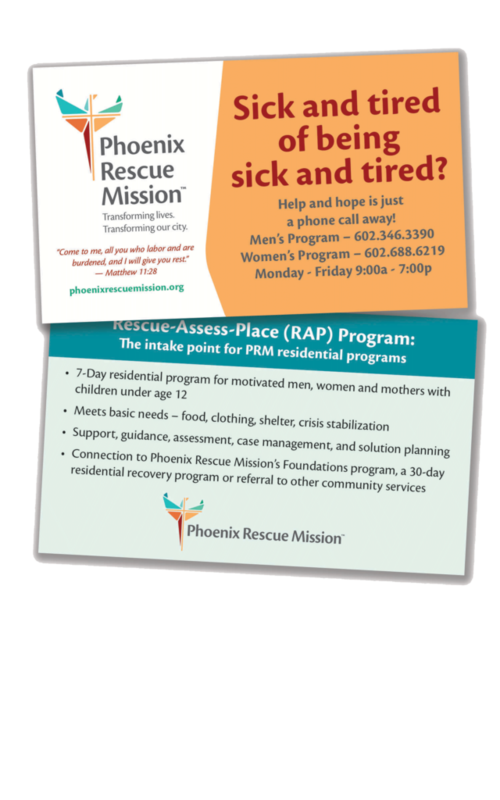 A gift of compassion – in the form of a Phoenix Rescue Mission Rescue Referral card. Miranda had a very tough childhood. She survived bouts of physical and emotional abuse, but not unscathed. The experience left her disconnected with the world around her. “I trusted no one,” says Miranda. “I was full of self pity, socially paranoid, erratic and very territorial. I had no connection with God or others.” The defense mechanisms that helped her survive also meant that for much of her life, Miranda was alone in her struggle. And when the demons of the past came back to haunt her, there was no one to turn to for comfort. It was a path that eventually led Miranda to self-medicate, using methamphetamines to numb the pain. It wasn’t long before she was hooked. Miranda started attending addiction meetings. She had kids by this point; they deserved better. But again, her distrustful nature got in the way of connecting to those who wanted to help. The next few months at the Changing Lives Center, she received the kind of love and counseling that brought down the walls she had built up around her heart. Slowly, she began to reach out and connect like she had never done before. “The more I became vulnerable, the more the Holy Spirit was able to do the work in me that was needed. Now, God is in charge, Miranda no longer serves Miranda. 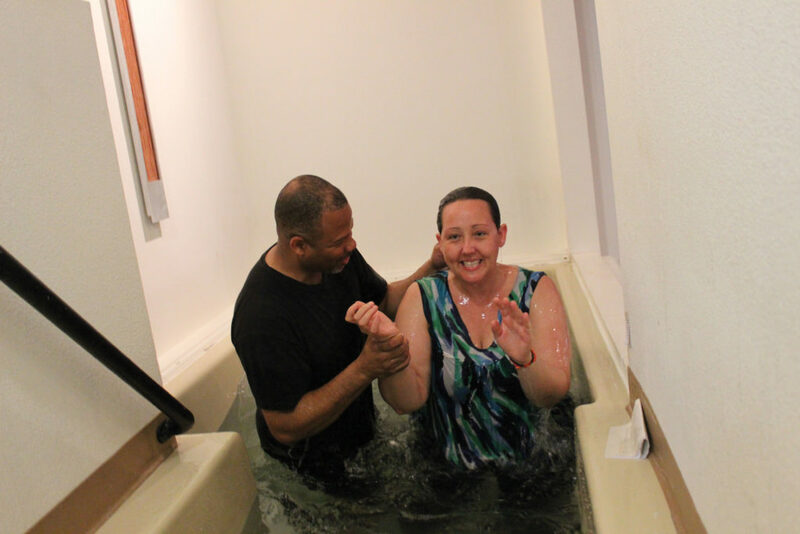 The [Changing Lives Center] staff went above and beyond to help me succeed.” While she was here, Miranda discovered a new relationship with Christ. 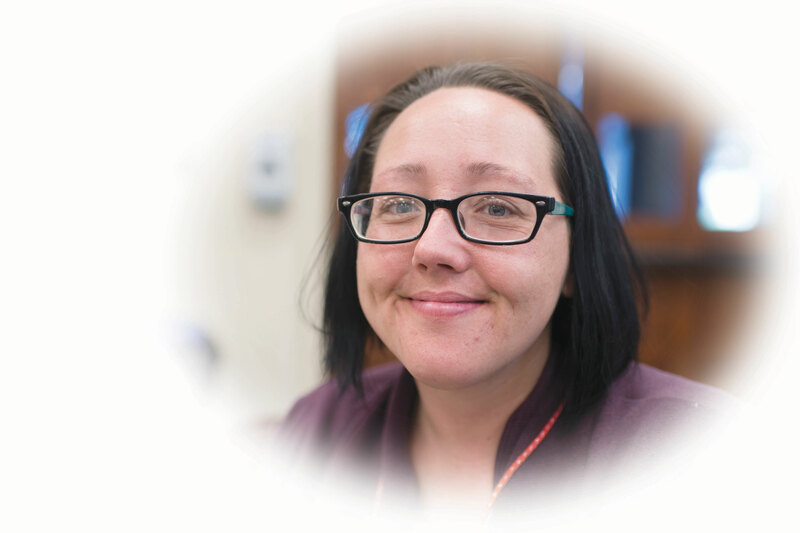 She graduated from our recovery program and found freedom from her addiction. We helped her enroll in classes, receive her high school diploma and even find a new job and an apartment. You can join Miranda and hand someone in need the gift of compassion using the Rescue Referral cards enclosed. Paired with a $4 bus pass, there’s no easier way to change a life this holiday season. Thank you for the support that makes this gift possible.